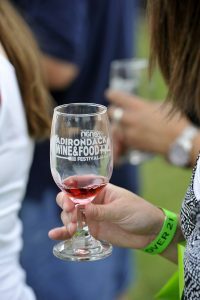 The 5th Annual Adirondack Wine & Food Festival (presented by Adirondack Winery)will be held June 29 & 30th in Lake George! The Festival showcases some of the best wineries, breweries, distilleries, artisan food vendors, crafts and food trucks New York has to offer! Take your taste buds on an unforgettable journey as you are introduced to over 120 of New York’s best wineries, craft beverage makers, artisan food vendors, food trucks and more, with the beauty of Lake George as your backdrop! This two-day multi band event will feature several of the priemere touring bands currently hot on the festival circuit. 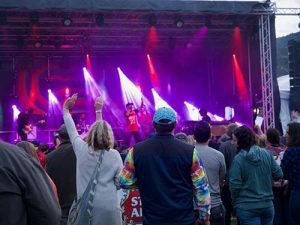 Prided on it’s incredible production and party atmosphere, our festival features two days and two stages with an additional late night rage stage at the famous King Neptune’s Pub. We will also have an incredible beer and wine selection as well as the circuits finest food and merchandise vendors. If that’s not enough, we will have a huge adult obstacle course to burn off all that extra musical energy. 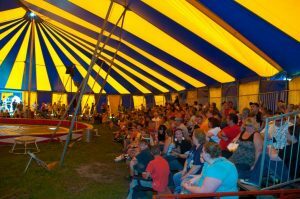 Come join us for the 2019 Shriner’s Circus! 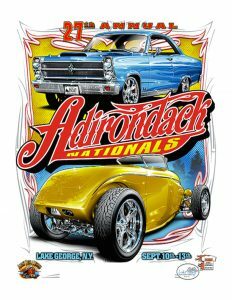 The Adirondack Nationals Car Show takes place at the Fort William Henry and Festival Commons area in the Charles R. Wood Park.The car club Albany Rods &amp; Kustoms has members from all over the Upstate NY area. ARK was founded in 1983. In 1985, ARK hosted their first event “The Highland Farms Car Show” in Altamont N.Y. In 1986 it started “The Mom and Apple Pie Car Show.” These first shows were small and drew less than 100 cars. In 1988 ARK held a “by invitation” show called the Adirondack Nationals at the Sheraton Inn of Glens Falls, NY. There were 268 cars. The following year, the show was moved to its present location on the grounds of the Fort William Henry Resort in Lake George, N.Y. The event just keeps getting bigger and better. They now average 1,500 cars every year! People from all over the country bring their cars to this show and it is considered a “must attend” event by many. Join us for the 2019 Free to Breathe Run.